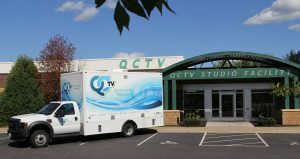 QCTV has a state-of-the-art production van and studio available for rent. We also can produce videos for your business. Please call Katherine Lenaburg at 763.276.9863 to discuss your project and receive a free customized quote.